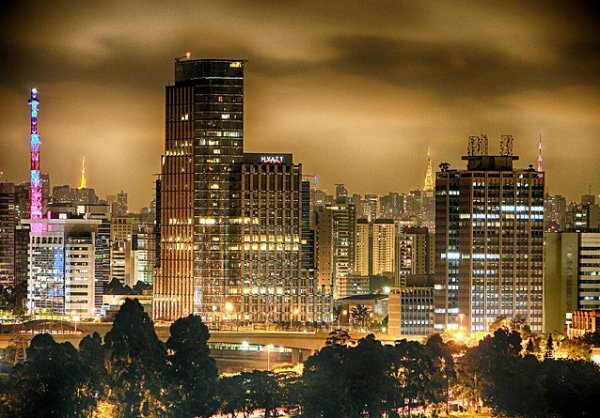 São Paulo is the largest city in Brazil. In fact, with a population of 11.3 million, it is the largest city proper in the Southern Hemisphere. Nicknamed "Sampa" by locals, it sits inland and is known for its forest of skyscrapers and wildly unpredictable weather. São Paulo is the economic heart of Brazil, though some visitors complain that the sheer size of the city lessens its attractiveness. That said, there is a virtually limitless list of attractions here for those who aren't soccer fans. The Arena de São Paulo (known locally as the Arena Corinthians after the pro club team that plays there) will host several World Cup matches, including a semifinal.